After install the MyDiceBot apk for the first time, you need wait for a while as it's extracting assets. yes, an android edition of dicebot. will release in the next couple of days. I appreciate your work mate many thanks in advance! 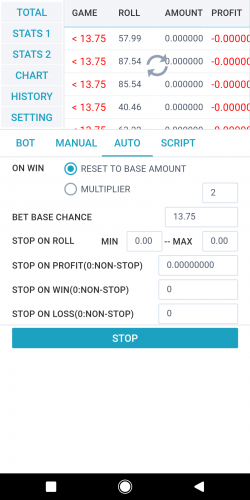 If you place in to the bot the base bet chance 49.5 and select to roll in "high" the bot send to the site a bet that is NOT a 2x bet, because the site considered as above 50.50 and not above 50.49 that the bet needs to be a 2x. In result, hunting this bet in your bot needs to be configured as a base bet chance 49.51, so the site can consider a 49.5.
will investigate asap. thanks for feedback. 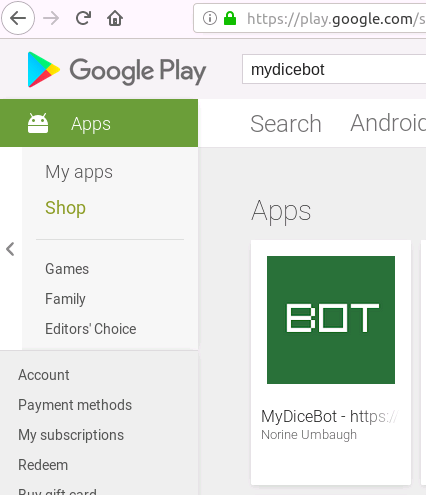 MyDiceBot - Android Edition is on Google Play NOW! * Android Edition Speed Up for the initializing step! 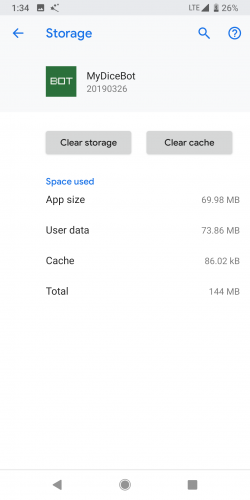 - Save 50% loading time. so i check the data files on "App Info", the data files seem being extracted but im not sure. thanks for your valuable feedback. 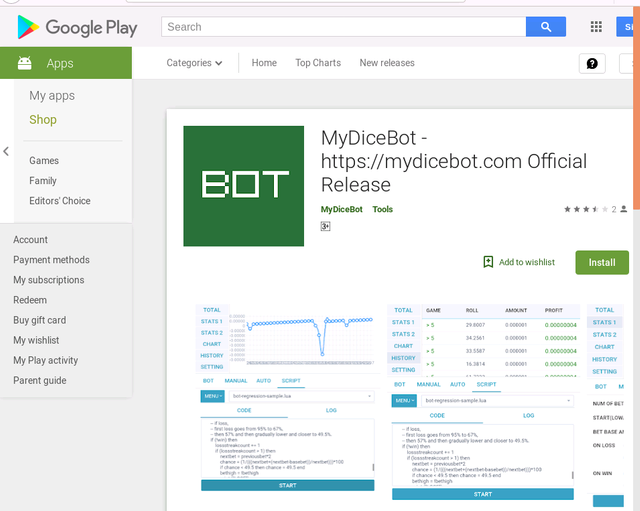 many people gave the similar error info on Android 9.0.
but how can i see the bet id on history? 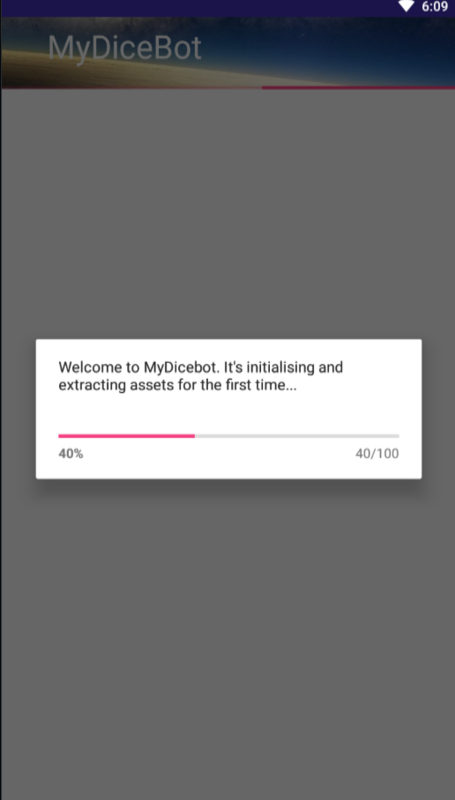 and please add exit confirmation button, so when accidently touch back button not being logout. any wrong in my script? 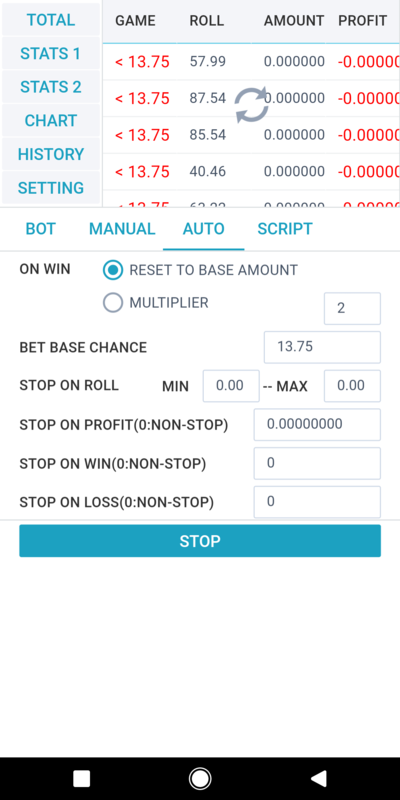 Seems your bet doesn't work because of double s from your rollss while making a variable. 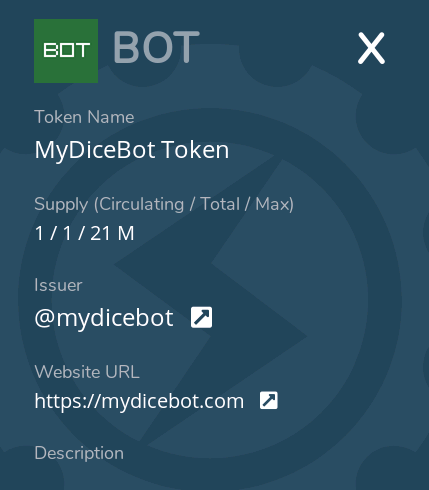 So, the currentroll can't define rolls. Other works well I think, but I don't know if it can read all of the arrays you wanted to look. 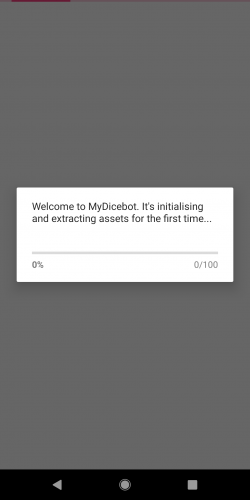 MyDiceBot - 190409 is released and Android 9.0 launching issue is fixed! 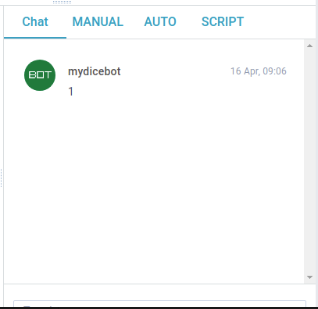 next plan for MyDiceBot is 'chatting room', then you can chat with each other in app. 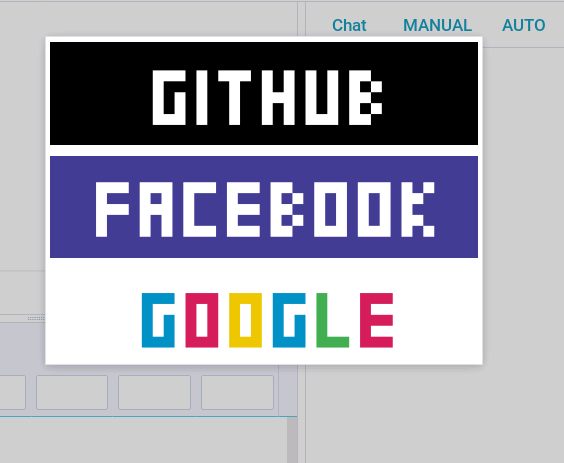 We found that https://steem-engine.com is a good try on steem blockchain.